You won’t find Vanna White behind these wheels of fortune. However, you will find some useful information on eating, drinking, and cooking. 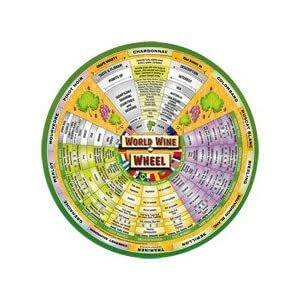 This info wheel displays 14 red and white wine grape varietals. For each varietal there is abundant information about taste and flavor and significant growing areas worldwide. The reverse side shows suitable matches for various food styles with selection of wines from around the world. 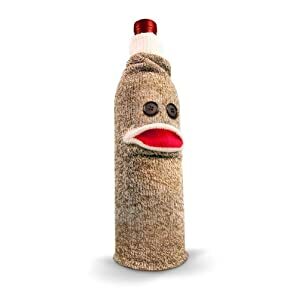 Here’s another circle of wine knowledge that is heavy on the cartoon design. The Wine Appreciation Guild takes this idea to the extreme with their three, count them three wheels of wine. 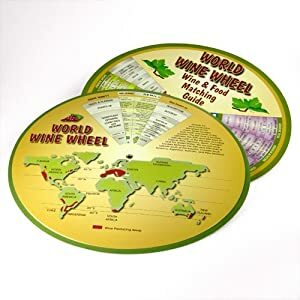 It makes the ideal gift for any wine or food lover. 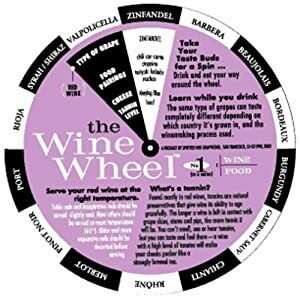 Wine Wheels provide the advice and confidence needed to select the right wines for your meal. 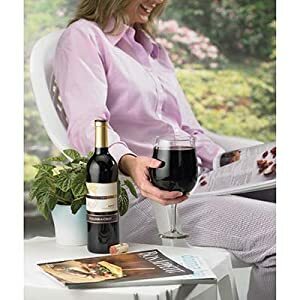 Nothing’s worse than getting up off the couch in the middle of “American Idle” to refill your glass of Merlot. If only you could enjoy the full episode without such interruptions. This glass is big enough to hold an entire bottle of wine. You’ll finally have a chance to watch your favorite television shows. 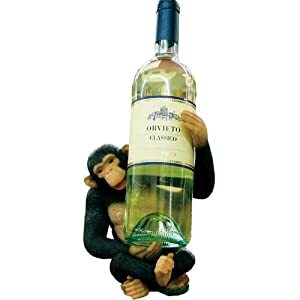 Of course, after one glass you may not be able to get off the couch at all…until the next morning. Did you know they make cooking tweezers? These are not the type you keep in the bathroom for eyebrows and the occasional splinter. These are deluxe tweezers for deboning fish and other dishes that require attention to details. These tweezers were designed by Tom Douglas, a chef, restauranteur, and writer. 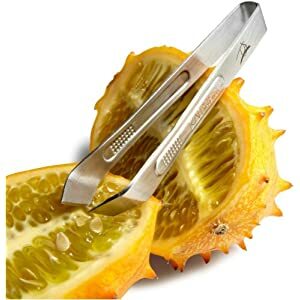 These 4-inch all-purpose kitchen tweezers, constructed of durable stainless steel, are ideal for removing bones from raw fish and for extracting stems and seeds from fruits and vegetables. Their textured, easy-to-grasp surface and tapered, flat tip are designed to grab pin bones with ease. Sauté cherries and tarragon in olive oil for 3 to 5 minutes. Add vinegar, salt, and pepper to taste. Place salmon in oven for 3 minutes at 450°. Spoon sauce over salmon and serve warm. Serving wine at the correct temperature can make a big impact on taste and enjoyment. 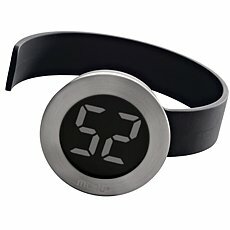 This thermometer by Menu makes it easy to know when your wine is ready to enjoy. DiWineTaste has a detailed investigation into the impact of temperature on wine tasting. Temperature greatly influence the perception of flavors as well. Just like smells, the perception of flavors can be defined by means of simple rules that will help us understanding and choose the right serving temperature. 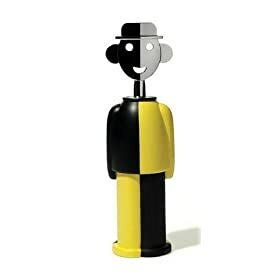 Once upon a time, Alessandro Mendini designed a little corkscrew in the shape of a lovely maiden. Anna G was her name and she brought Mendini much joy and fame. But Anna and Mendeni became a bit lonely. So along came Sandro M. Sandro is a happy, dapper little man with a corkscrew where it matters. This version is limited edition and hand painted.